WASHINGTON, DC, September 11, 2013 (ENS) – The U.S. Environmental Protection Agency scientist who first revealed the dangers of toxic dust at the World Trade Center disaster site has received a second notice of proposed removal from her job more than a year after a federal civil service court ordered her returned to work. 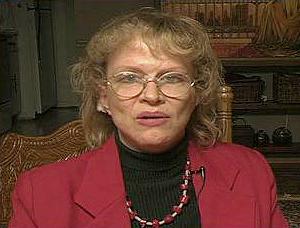 Dr. Cate Jenkins, a senior chemist of more than 22 years tenure with the EPA, publicly alleged that due to falsified EPA standards, first responders to the attack on the twin towers were exposed to dust so corrosive that it caused chemical burns deep within their respiratory systems. The renewed action for her removal was revealed today by Public Employees for Environmental Responsibility, PEER, on the 12th anniversary of the terrorist attack on the twin towers in lower Manhattan that killed 2,606 people in the buildings and on the ground. 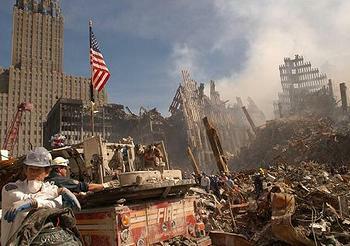 The two towers collapsed after they were hit by two jet planes hijacked by the terrorists. Late in August, the EPA re-filed the same charges against Dr. Jenkins from 2010 that were rejected by the Merit Systems Protection Board for violations of her constitutional due process rights because she was not informed of all the charges against her. Dr. Jenkins is a 22-year specialist with the EPA. Her current position, from which the agency is trying to remove her, is with the Waste Characterization Branch, Materials Recovery and Waste Management Division, Office of Resource Conservation and Recovery in the EPA’s Office of Solid Waste and Emergency Response. Dr. Jenkins was the author of a lengthy memo to the EPA Inspector General detailing the chemical composition of the dust. After raising the issue to the EPA, to Congress and to the Federal Bureau of Investigation, PEER claims Dr. Jenkins was isolated, harassed and ultimately removed from her position on December 30, 2010 by the EPA. In a unanimous ruling dated May 4, 2012, the Merit Systems Protection Board vacated Dr. Jenkins’ termination and ordered that she be fully restored and given back pay with interest. Rather than return her to work, however, EPA officials kept her on paid administrative leave for over a year before re-filing the charges against her on August 27, 2013. However, the Merit Systems Protection Board had ruled that EPA could not re-file the charges if Dr. Jenkins established that they were in retaliation for her whistleblowing, and that she must be given the opportunity to do so. “These charges against Dr. Jenkins never made any sense but what makes even less sense is the EPA decision to re-bring them even before a decision has been made on her still-pending retaliation claims and in direct contradiction to the language of the MSB order,” said PEER senior counsel Paula Dinerstein. Dinerstein is seeking to have the new charges quashed. She represents Dr. Jenkins, along with PEER Counsel Kathryn Douglass and private attorney Mick Harrison. “EPA’s decision once again to attempt to fire Dr. Jenkins is further suspect given the historic context of EPA Region 2’s explicit attempt to gag Dr. Jenkins and the political editing by the White House to delete warning language from an EPA press release after 9/11,” said Harrison. EPA repeatedly failed to provide Dr. Jenkins’ legal team with required discovery on a number of issues, especially the apparent high-level collusion to remove her. “The evidence we have assembled shows a high-level involvement in instigating and pursuing these dubious allegations,” Dinerstein said, noting that starting in October 2001, Dr. Jenkins also revealed falsifications of asbestos levels and standards by the EPA and the City of New York. Earlier, starting in 1990, Dr. Jenkins disclosed the manipulation of studies on workers exposed to dioxin, contained in Agent Orange, which had been used to deny Vietnam veterans health benefits. “Dr. Jenkins’ actions following 9/11 took courage and deserve our gratitude,” said Dinerstein. Meanwhile, EPA has not corrected the mistakes it made on 9/11. In 2011, on Dr. Jenkins’ behalf, PEER attorneys filed a formal rule-making petition demanding that EPA tighten its corrosivity standard so that responders would be alerted to use personal protection equipment to prevent lung and respiratory tract damage. PEER argues that higher standards would bring the United States into line with standards in force in the European Union, Canada and adopted by the United Nations since at least 1970. The EPA has yet to respond to this petition. 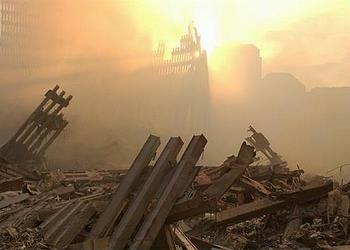 Rescue workers exposed to the dust that rose from the destroyed World Trade Center towers suffered decreases in lung function lasting at least seven years, found a study of nearly 13,000 workers published in the New England Journal of Medicine in April 2010. Dr. David Prezant, an author of the study and the chief medical officer in the Office of Medical Affairs at the New York City Fire Department, told the “New York Times,” that on average, the rescue workers lost about 10 percent of their lung function in the year after the attack, with little or no recovery over the next six years. Firefighters who arrived on the morning of September 11, 2001 had the largest lung function declines in the first year, because they breathed in the worst of the dust cloud. Between 30 and 40 percent of all the first responders exposed, about 5,000 people, were found to have persistent symptoms, like cough, wheeze, sore throat, shortness of breath or sinus drip, Dr. Prezant said. Nearly 1,000 people from that group have qualified for “permanent respiratory disability” because of asthma or chronic bronchitis. exertion, cough and sinus or nasal problems. In addition, 10 percent of adults enrolled in the WTC Health Registry have reported a new diagnosis of asthma at some point since 2001, with the highest rates reported during the first 16 months after 9/11, reported the World Trade Center Medical Working Group. “This is three times as many adults as would be expected in the general population over a six-year period,” the report states. Although elevated rates of new asthma were reported across all eligibility groups, rescue and recovery workers who arrived at the World Trade Center site on 9/11 had the greatest risk, and residents had the lowest.